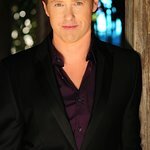 Award-winning actor Raphael Sbarge is known for an array of film, theatre and television projects; most recently with ABC’s Once Upon a Time, the highest-rated new television drama series. In addition to being a talented actor, Raphael is an committed environmentalist who, along with Ed Begley Jr., has founded the non-profit Green Wish, which is a non-profit that helps raise money for local green non-profits. Raphael has also partnered with Ed Begley Jr. to produce a web series called “On Begley Street” where they document transforming Ed Begley’s home to the most ecologically advanced home in North America. Google trends for "Raphael Sbarge"
We don't have any videos related to Raphael Sbarge.